There is something going on with talk shows and watches. During the month of December, two different luxury watch brands were mentioned on two of the most watches TV talk shows. On “Ellen” not only did Ellen herself sport an all-white Michele watch from the brand’s Tahitian collection, every person in the audience got one! Michele watches are undoubtedly hot watches; especially these that are made from all ceramic, creating a cool look in black, white or pink, not to mention that the bezels are studded in sparkling diamonds. 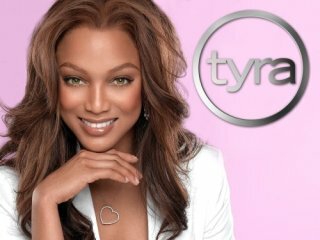 On, December 18, on the “Tyra Banks Show” the Movado Bold Collection – “watches and chronographs with a new attitude, energized by color” was mentioned as one of the top ten hottest, must-have holiday gifts of the year. These Movado watches are described on the company’s website as being “over-sized watches made of high-tech composite material / stainless steel cases. Dials with bold, new sunray dots and bright color details, with leather straps that lined in purple stitiching.” These men’s and women’s watches come in all black, all white, black and purple, or all black with green stick hands. Aside from both being mentioned on daily talk shows, and stating with “M”, another thing that Michele and Movado watches have in common is that they are both well-made, stylish watches that are very reasonably priced. The Michele watches that were given away were worth $2,000 each (mostly due to the 100 plus diamonds on each watch), while the Bold by Movado pieces come in under $500 each. Now we’re talking! Who needs to spend upwards of either of those sums on a watch? Remember if you shop smart, you can still shop. Considerably, the posting is truly the freshest on this notable topic. I agree together with your conclusions and will thirstily look forward to your next updates.I will immediately grab your rss feed to keep abreast of any updates. I know this really is truly boring and you’re skipping for the next comment, but I just wanted to throw you a big thank you – you cleared up some things for me! I study a great deal of blogs lately and yours is a single from the best. I enjoy studying your posts – clear and nicely written. Your page goes straight to my bookmarks. I obtained some good inspirational thoughts after studying it.